Naples Senior Center will be holding its 3rd Annual Educational Event on February 8, 2019 at Kensington Golf & Country Club. 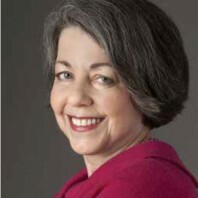 Ina Jaffe, veteran NPR correspondent covering the aging of America will be the keynote speaker. Ms. Jaffe’s stories on Morning Edition and All Things Considered have focused on older adults’ involvement in politics and elections, dating and divorce, work and retirement, fashion and sports, as well as issues affecting long-term care and end of life choices. She also has a regular spot on Weekend Edition with Scott Simon called “1 in 5” where she discusses issues relevant to the 1/5 of the U.S. population that will be 65 years old or more by 2030. The breakfast event at Kensington Golf & Country Club will begin with a lavish breakfast buffet and registration at 8am with the program beginning promptly at 9am. Ms. Jaffe’s address will be followed by a panel discussion and a question and answer period. Tickets are $50 per person. Previous keynoters included Jane Brody and Barry Petersen. The event is open to the entire community.